Armazém Fusion Fitness joins military-style discipline with purposeful movement to reveal the beauty of the lean, strong human form. 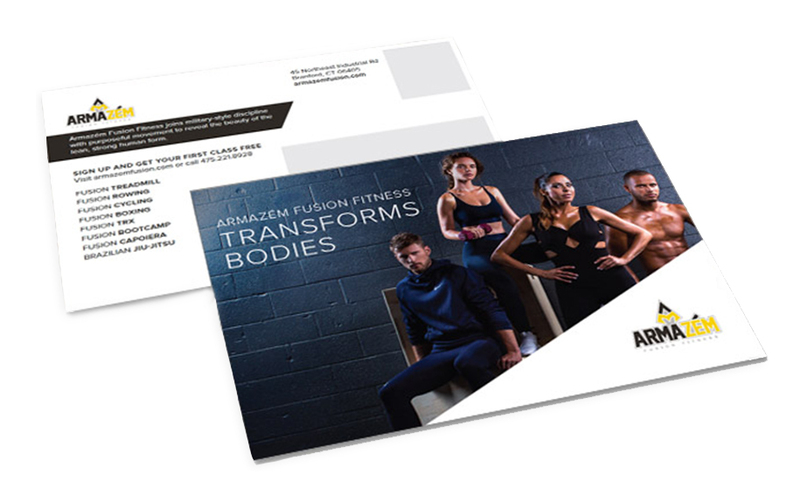 Armazém Fusion Fitness approached Mediaboom for their gym marketing needs with the task of creating a stunning, user friendly website that would attract and engage potential gym goers. In addition, our agency created print collateral to help raise awareness about the gym’s grand opening. Looking to stand apart from the competition, we designed and developed a new website for Armazém Fusion Fitness. 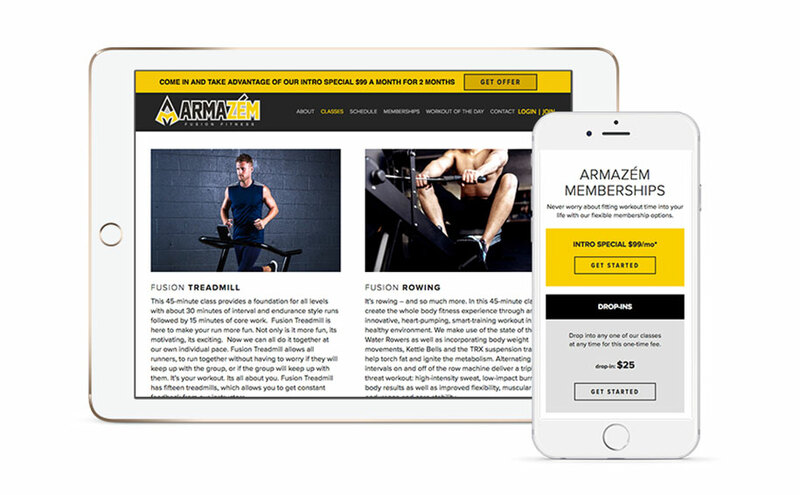 Through the intuitive website, users are able to view the daily schedule, sign up for classes, and learn all that Armazém has to offer at its one of a kind gym. 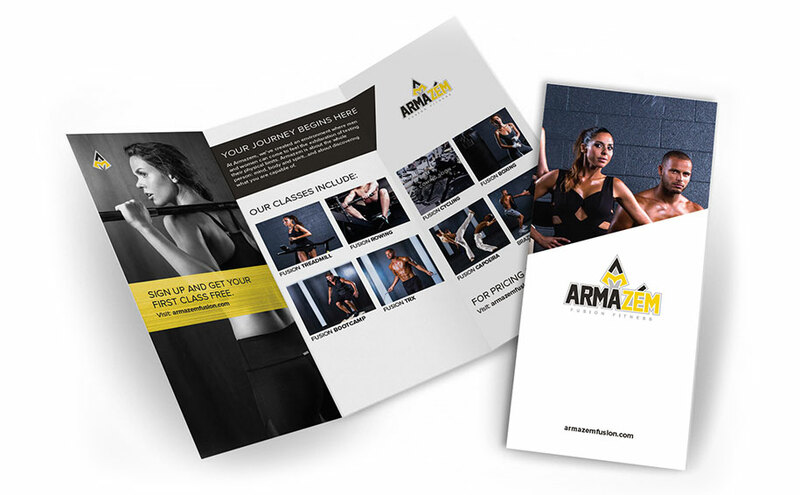 In addition to developing the online experience, Mediaboom created other gym marketing materials, such as printed pieces for Armazém, to promote their new fitness studio beyond the digital realm. Printed items included business cards, an informational brochure, and a promotional mailer to raise awareness and get locals excited for the gym’s grand opening.